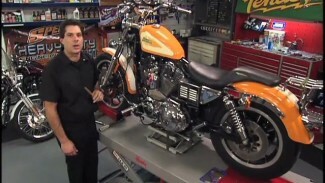 Bob demonstrates the proper technique for checking, servicing and replacing Harley brakes on the rear wheel caliper of your Harley Sportster. 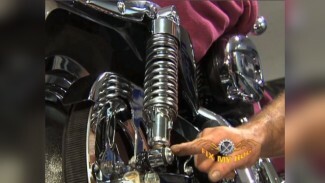 He shows how to loosen the caliper, remove the brake pads and install a new set. Once they are in place, he pumps the rear brakes to make sure the caliper is making solid contact with the wheel and checks the fluid reservoir. 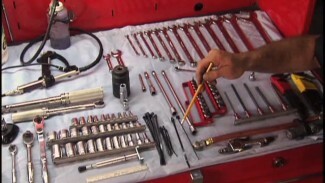 If the fluid level is low, you should either bleed the brakes or replace the fluid.